I first heard the name Al Gore in the early 1990′s as the US Vice President coined the phrase “information superhighway”. Having started my first internet company whilst at the University of Melbourne in 1993, I read his speeches and knew he was a man of vision. 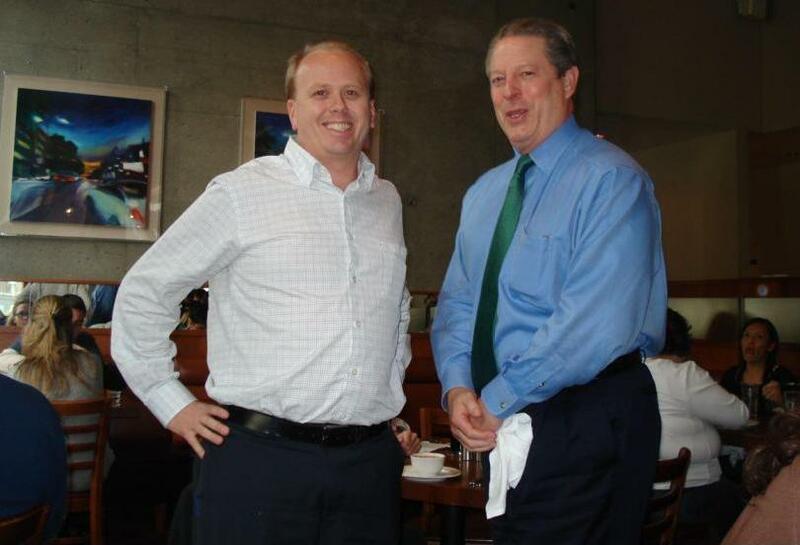 So when I had the pleasure of meeting Al Gore over lunch recently in San Francisco- albeit briefly – I mentioned that I hoped we could work on something together one day. As I’m Australian and live 2 miles away from Kleiner Perkins Caufield & Byers, the Sand Hill Road Venture Capital firm he joined recently, Al told me he needed our help in saving the planet. I said I would keep an eye out for good green-tech start ups and let him know. Like most great people, I watched him graciously accept defeat in the 2000 US presidential election campaign and then win international praise for his environmental mantra and accept the Nobel Peace Prize with more grace earlier this year. I hear from VCs here in the Valley that Kleiner Perkins has put around 40% of thier funds in 2007 towards green-tech; anything green is hot right now. I hope to meet up with Al Gore again soon and help turn our collective focus into making the world a better place for our kids. So let me know if you have need help with your green tech start up. Kleiner Perkins investments are overviewed at http://www.kpcb.com.